We are fortunate to live in a land of plenty, but there are so many of us who do not have enough – or anything – to eat. 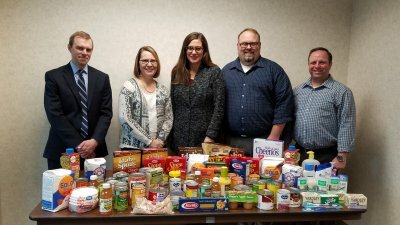 M&B Cares hosted a food drive throughout the month of November 2017 to donate food for the holidays to Community Emergency Services (CES). CES's Neighborhood Food Shelf is a critical part of CES's food programming, which had more than 80,000 client contacts in 2015 and distributed 516,000 pounds of food.